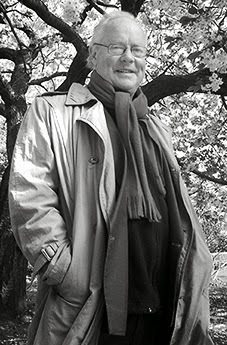 "A writer is not interested in explaining reality, he's interested in capturing it." 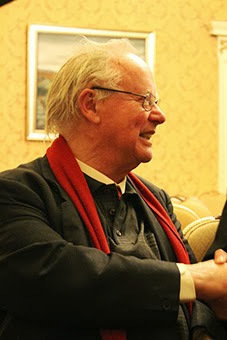 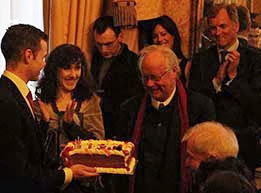 Brendan Kennelly: Behind the Smile by Dr Sandrine Brisset was launched during a sumptuous party in honour of the poet's 77th birthday. 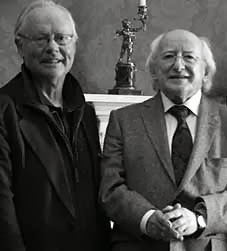 Guests included many well-known Irish figures, including Mary Black, David Norris, Hugo MacNeill, Micheal O'Siadhal, Seamus Hosey, Noel O'Grady, Franky Gavin and many others. 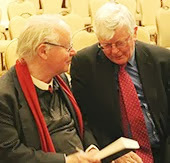 The book was launched by Minister Jimmy Deenihan who gave a remarkable speech on the occasion. 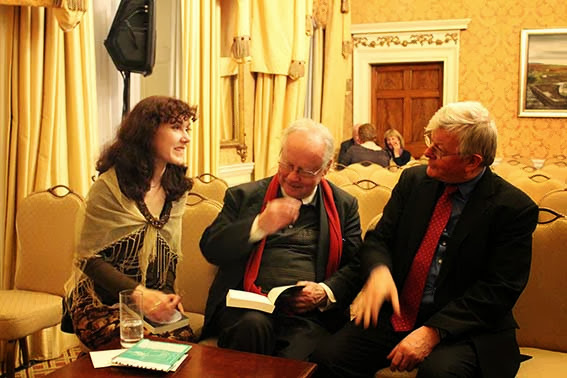 Brendan Kennelly recited his poem 'Raglan Lane' to celebrate the birth of the new imprint, Raglan Books.